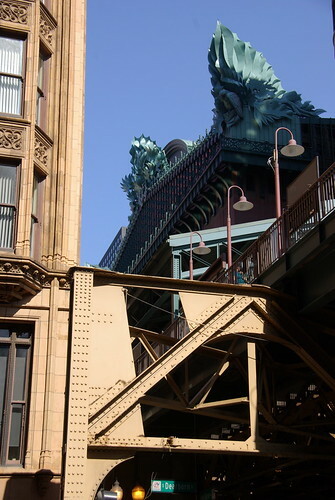 Fisher Building/Harold Washington Library, a photo by millinerd on Flickr. Burnham's fabulous Fisher Building (1896) flanked by a Harold Washington Library acroterion (1993). A modern architectural revolution happened in the space between.